I am very excited to write about a very talented and kind person. 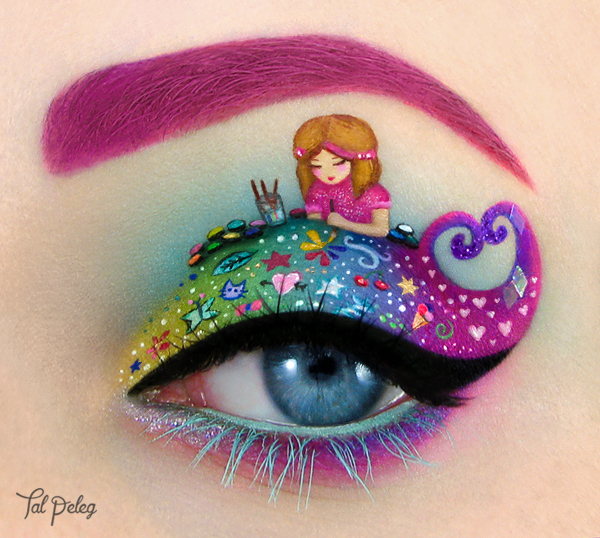 Her name is Tal Peleg, she is a visual artist from Israel, that is famous for her incredible eye-art. 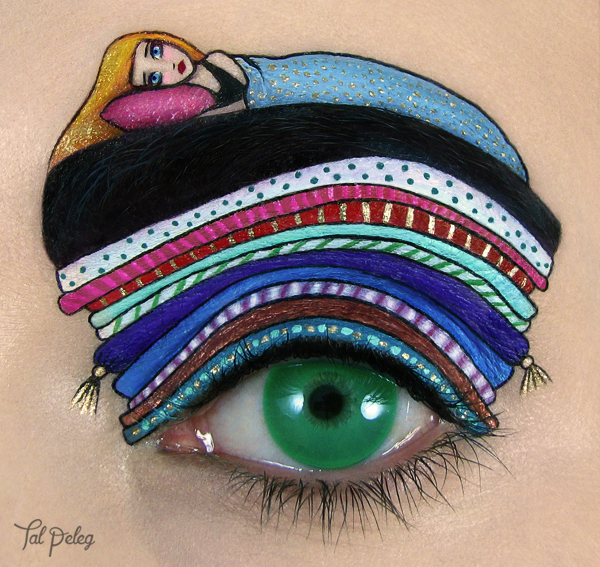 Who hasn’t seen those super detailed paintings that she created herself on her eyelids? The black cats, classic fairytales and colorful creations. They are all over the web. As a make up lover and lover of art, I fell in love with her work. On top of that, she is also very kind. I’ve never met her face to face, but I sense this, even just through digital contact. 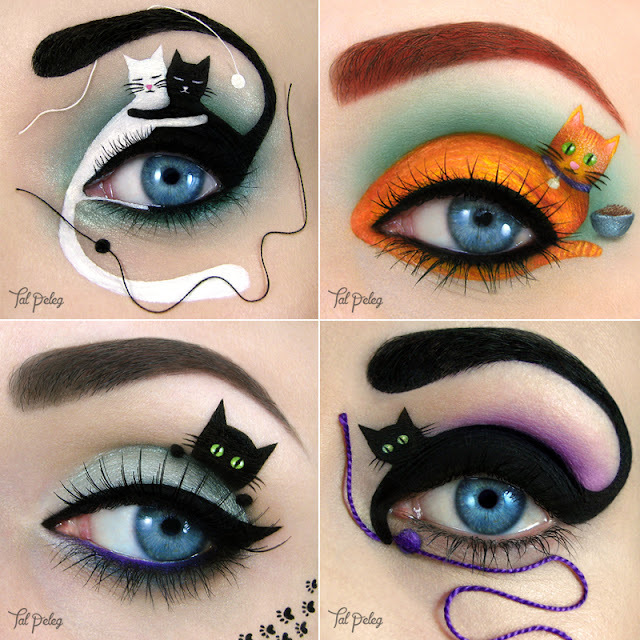 Through our love for black cats, fairytales and make up with came in touch via Twitter and Instagram. I am always amazed by her work. She paints these pieces of art on herself. I already get an eye cramp by even thinking of it. What steady hands and strong eye muscles she must have! On top of that, a lot of patience, imagination and a great eye for detail. 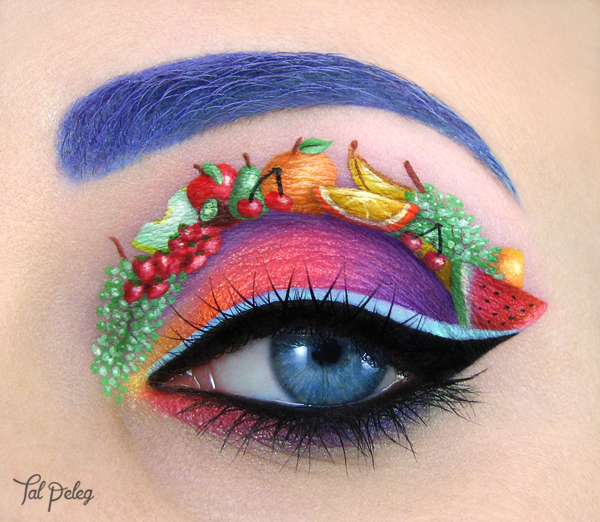 This is not your average make up. These are make up paintings, little pieces of art displayed on the part of our body through which we perceive a big part of our lives. That is what makes it so intriguing. Like little memories, visions and thoughts which we see in our mind, come to life on the windows of our soul. A tribute to Minou and Schwarzkopf. 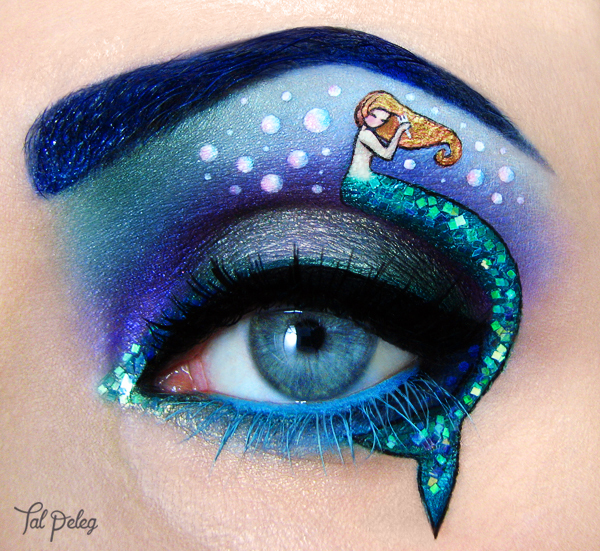 I’m Tal Peleg, a visual artist from Israel. 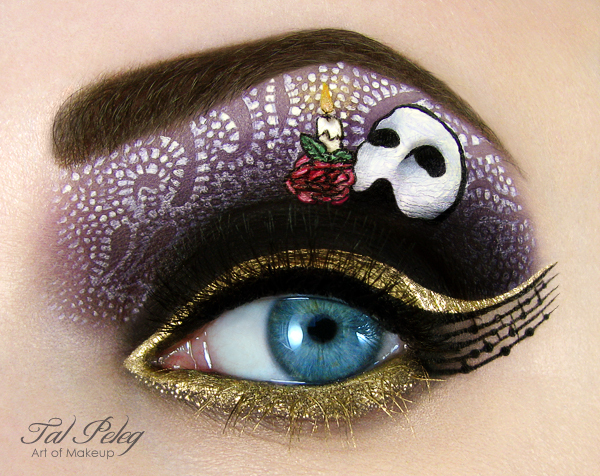 Makeup is an amazing and expressive form of art. 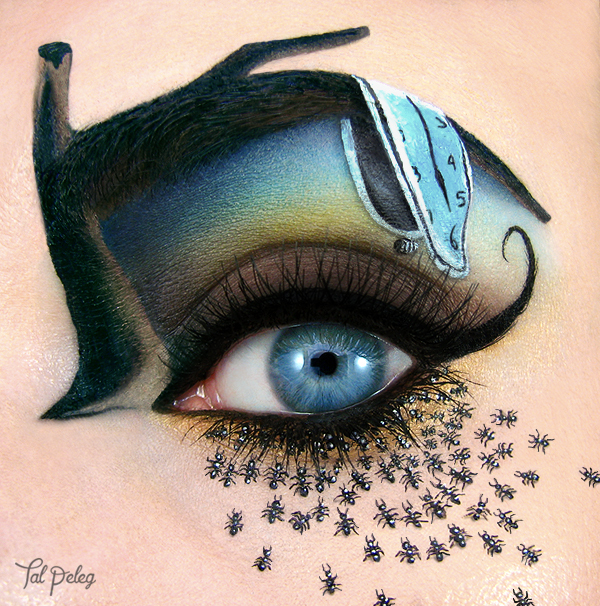 Eye-art is my way of mixing all of my passions together (painting and illustration, makeup and photography) by using the eye as my canvas in order to tell a story and express emotions. I try to push the limits between makeup and illustration, and keep challenging myself with creative designs and miniature painting. 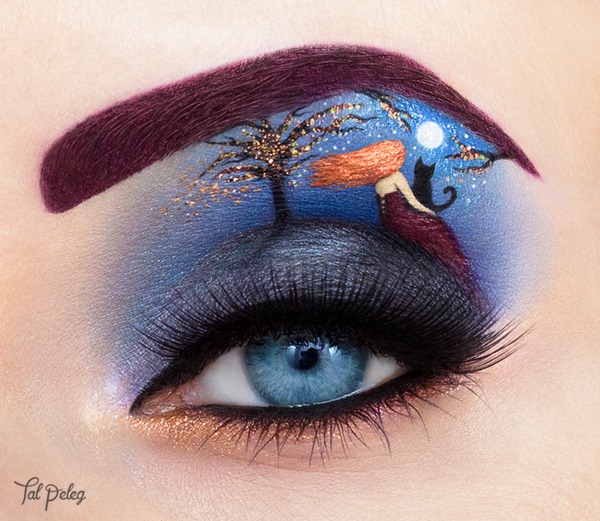 I create the eye-art on my own eye, and I use mostly eyeshadows, eyeliners and watercolors... and of course – magnifying mirror and super thin brushes! As an Epica fan since the very beginning, their music has been an inspiration for me. I’ve created many of my artworks listening to Epica. One of my works was inspired by the song, “Tides of Time”. This song made me think about my grandmother who suffers from dementia (fading and missing memory)... so I tried to translate the emotions I got from the song, and the dementia symptom, into abstract eye-art. I tried to make the eye look like it’s fading and dissolves, like time, memories and life when you’re old. Also, Simone has given me a great idea to create a Dali eye-art, and since surrealism is my favorite art movement it just had to happen! “Dreamscape”, Epica’s amazing song inspired by Dali and Kahlo was also inspiration for it. Dreamscape, Kahlo and Dahli combined. White, black and red cats. A tasty piece of art. This could easily be me. The princess on the pea. 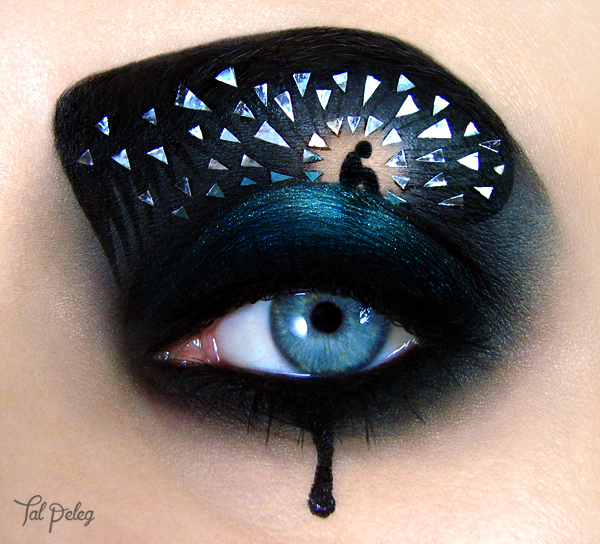 Tal, thank you for the lovely Eye-Art that you've created for me and for your time! There is more art from Tal that you can admire. Follow her on Instagram, Facebook and Twitter. 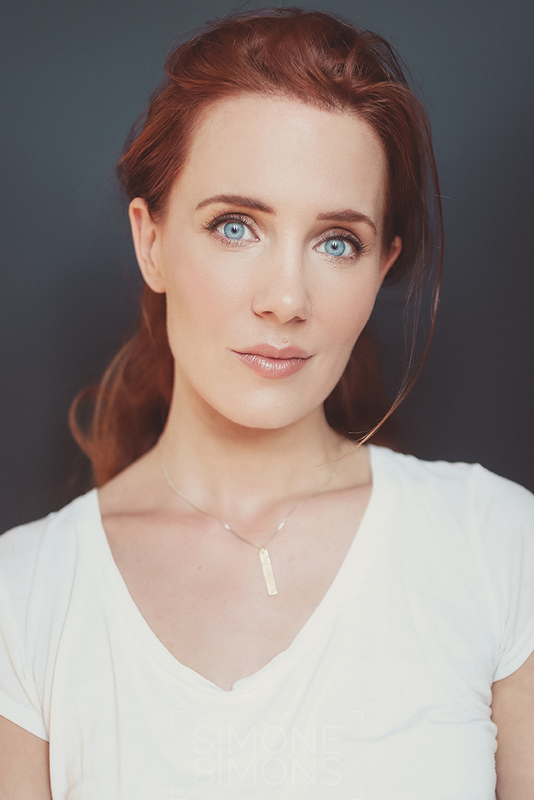 I’ve added her links for you. Go check her out! 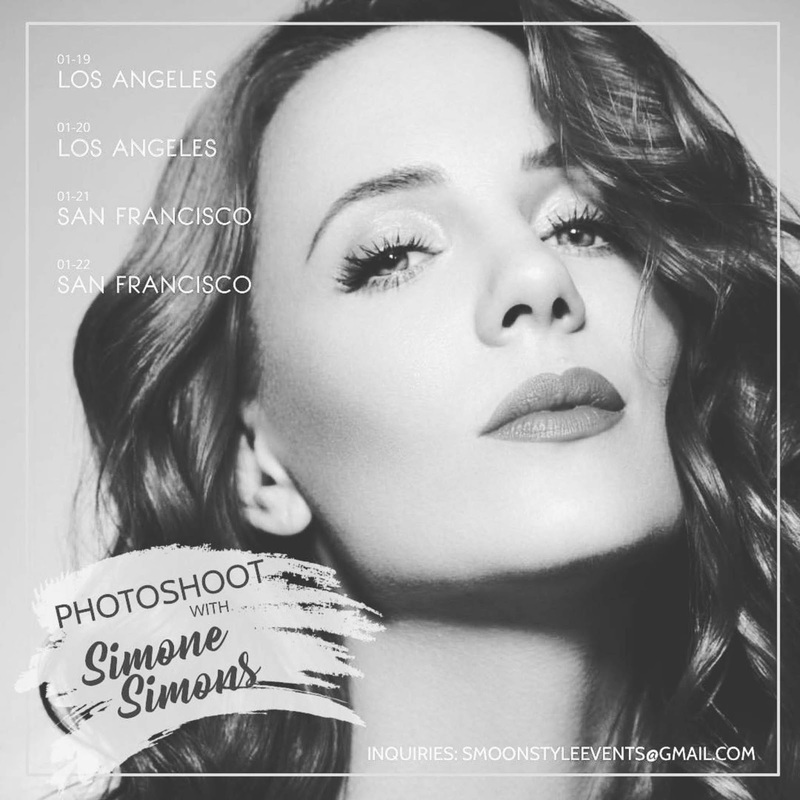 Wich photos are your eyes Simone :) ? I'm impressed, what great artist! You know what? 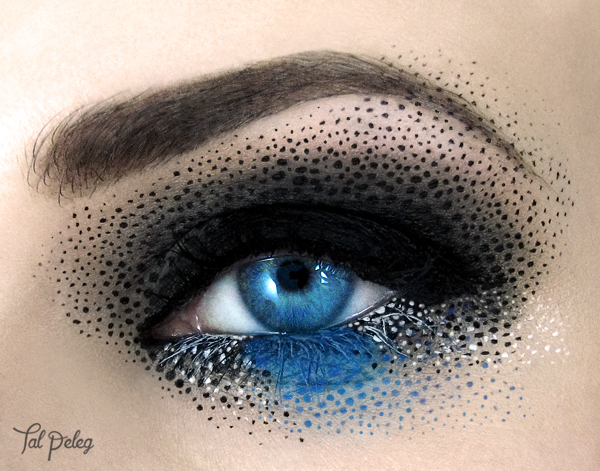 If I were you, I would implement this makeup at Epica's concerts. Now I'll follow her in her social networks.Thank you for this contribution! Oh my, it really is amazing! I've been following her on Makeup Bee and I love her art! It's just outstanding. Tides of Time is the most beautiful, you should use it, Simone.